Microsoft has announced a new stripped-down operating system, Windows 10 S, to challenge Google Chrome in the education market. But it will face stiff competition when it's launched this summer. There are plenty of Chromebooks you can buy now that scored well in Consumer Reports' testing. Chromebooks caught on in schools because of their low price, says Janet Ferone, a former school administrator in Boston who now runs Ferone Educational Consulting. But the machines also benefit from the larger Google ecosystem. Teachers are using “Google Classroom to post assignments and lessons, students and staff alike use Google Drive and Docs for editing and writing, and Gmail is now the email platform for Boston public schools,” she says. The new Microsoft OS is optimized for quick startups and security, and it will start shipping with budget PCs this summer. The company will also sell a $1,000 machine, the Surface Laptop, that runs the operating system. We’ll test these new Windows 10 S laptops once they become available. In the meantime, here are some of the best Chromebooks in our ratings, in a range of screen sizes. 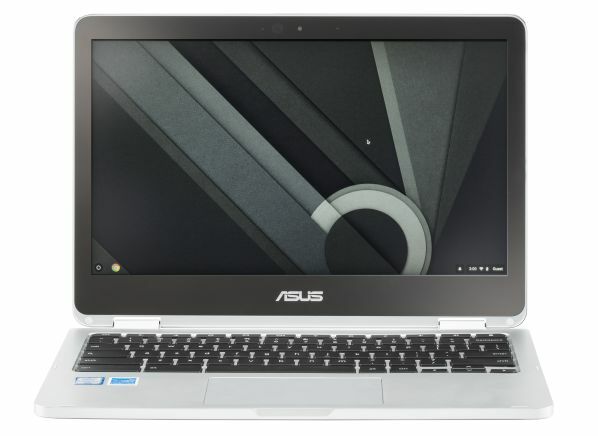 This notebook from Asus, which costs about $500, holds the distinction of having the highest score in CR’s Chromebook tests, receiving excellent marks for ergonomics, performance, and versatility. It will run for almost 10 hours on a charge, making it one of the longest-lasting machines in our tests. Like many newer models, this Chromebook has a touch screen. And because the keyboard folds completely out of the way, it's an appealing tool for playing games. 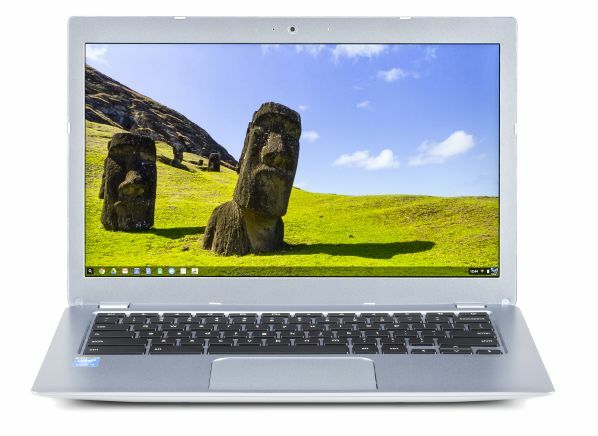 This Toshiba is a relative steal for $350, even though there are less expensive Chromebooks on the market. It has 4GB of RAM (as much, we must note, as the $1,000 Surface Laptop coming this summer), and its performance was deemed excellent by our testers. It can simultaneously run several browser windows or streaming movies without a struggle. This model doesn’t have a touch screen, so while you can use the Google Play Store to download apps, you’ll have to rely on the trackpad. This Chromebook's aluminum chassis lends it a premium look and feel that's a pleasant change from the bargain-basement aesthetics of many of its peers. It brings users a solid 9.5 hours of battery life, making it one of the best in the category. It doesn’t excel in any one area, but this 14-inch notebook does a lot of things well. It has a comfortable keyboard and trackpad, and a very good display that produces little to no glare in a brightly lit room. And it can handily perform such tasks as web browsing and word processing. 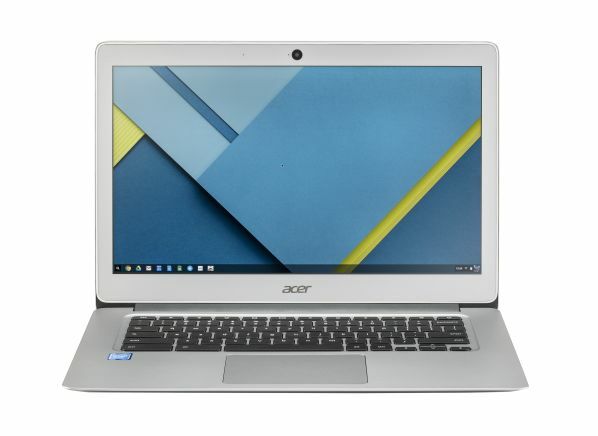 This Acer is one of the largest Chromebooks available. At almost $500, it’s also one of the most expensive. But its performance is excellent thanks to a Core i5 processor, and it will have no problem taking on any app from the Google Play Store. 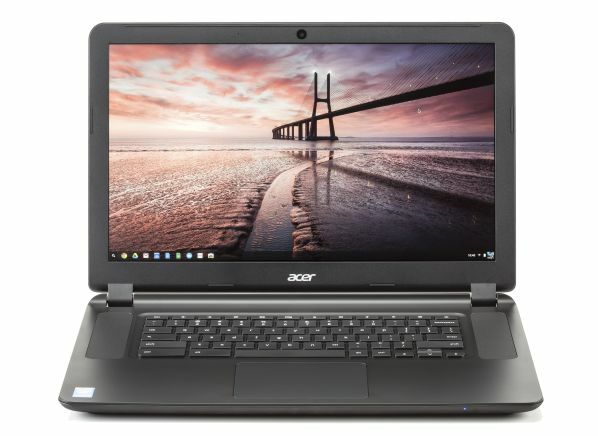 With a 15-inch screen and an HDMI-out port for connecting to a television, this notebook also provides two good options for streaming video.